There have been multiple medical studies proving the negative connection between maternal obesity and fetal and child health. While we know there is a connection between the two and we know there are health risks associated with being obese during pregnancy, this study proves there are even more dimensions to the problem. According to researchers at Hebrew University, children born to mothers who were obese during pregnancy may suffer lifelong health-related side effects. In order to test the long-term effects, researchers pulled data from births during the late 1970s in Jerusalem. More than 1,400 records were pulled and examined. The records showed information like maternal weight during and after the pregnancy and the weight of the infant at birth. Then, researchers connected with the infants, now adults, at the age of 32. Blood tests were administered and weight was measured for all study participants. Doctors also noted BMI and hip measurements. Researchers were able to pull several sets of data from the results. 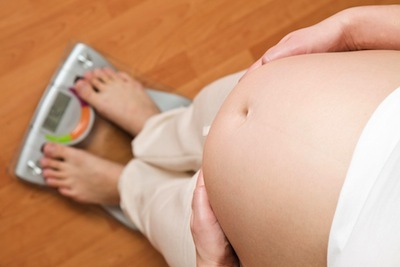 For instance, if the mother gained more than 31 pounds during the pregnancy, her child was more likely to have a higher BMI than mothers who gained about 20 pounds. Children born to overweight or obese mothers were also more likely to have wider hips than those born to mothers of normal weight. The results of the blood tests were quite similar. Being overweight or obese during pregnancy lead to increased sugar and fat levels in the blood of your offspring 30 years later. High blood pressure and predisposition to weight-related conditions like Type 2 Diabetes are also an issue. Other studies have associated adult health risks to maternal weight during pregnancy, but the answer may not be as easy as losing weight. There are physiological changes that occur when the body is overweight or obese for an extended length of time. Those changes are thought to be the cause of fetal changes that affect the health of offspring. Losing weight immediately before pregnancy may not be enough to change cellular or genetic makeup – so losing weight and maintaining a normal weight for life is the optimal choice. Source: Dr. Hagit Hochner, Prof. Orly Manor, et al. The Hebrew University of Jerusalem. 15 May, 2012.